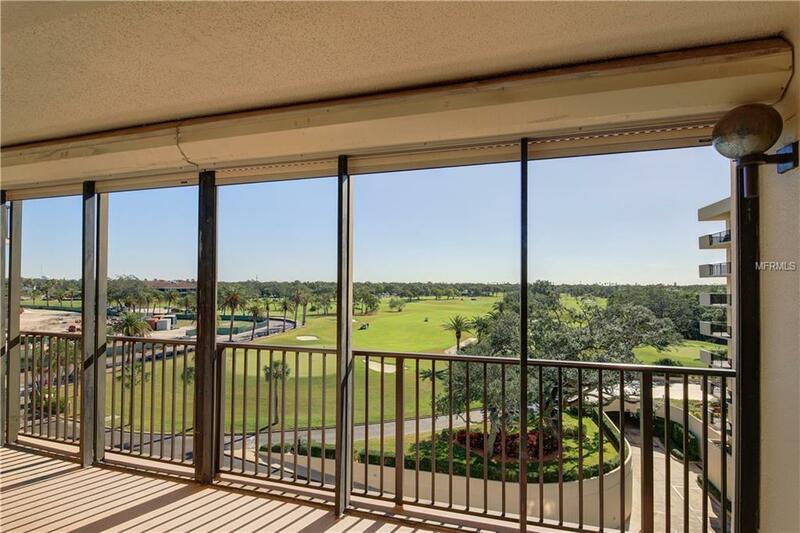 This Belleview Biltmore sixth floor condo showcases incredible panoramic views of rolling green fairways at Belleair Country Club. 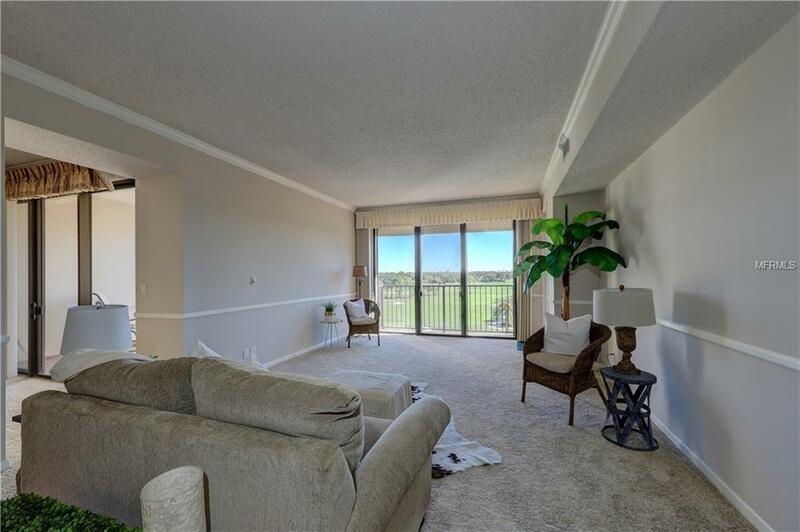 The spacious living room adjoins a covered terrace overlooking the course. A combination family room with media cabinets and dining area with glass display shelves and chandelier offer additional living space with another terrace. The remodeled kitchen includes light wood cabinets, Corian counters, built-in microwave, pantry cabinets and tile floor. The master bedroom offers terrace sliding doors, mirrored his and her closets and a private bath with tub/shower. A hall bath with shower serves the nearby second bedroom with sliding doors to the terrace. There is a laundry closet with stacked appliances. 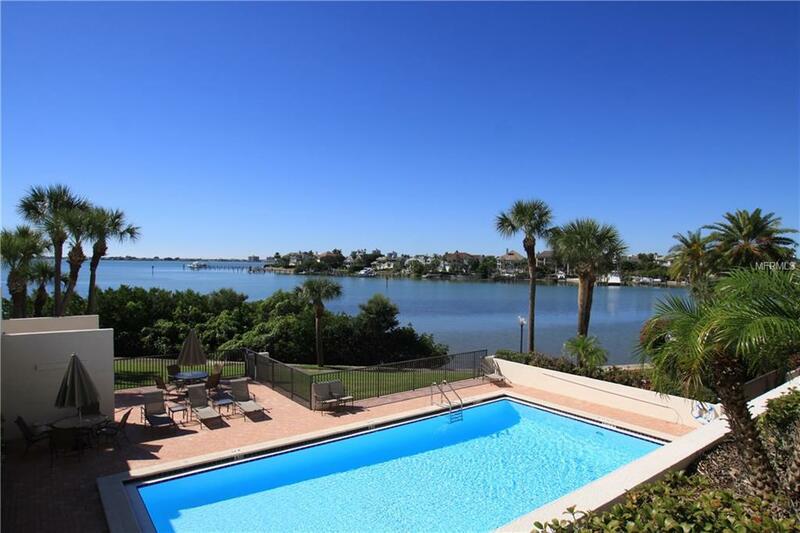 Amenities include new carpet in the living rooms and bedrooms and new wood look flooring in the baths. 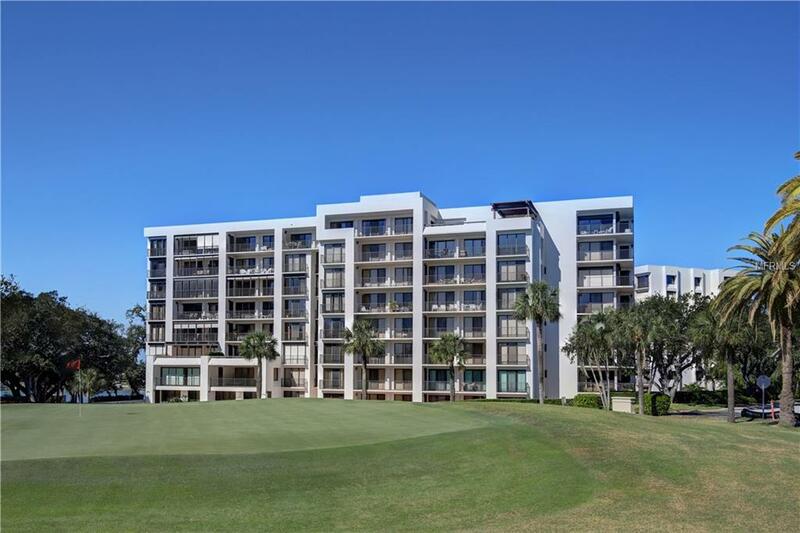 A community room and pool are steps from the monitored building front door connected to 24/7 gate security.